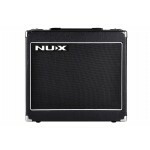 50-Watt Frontline combo has two channel preamp with independent 3-band EQ and 6 amp models for drive..
What are you waiting for? You won't find a finer, compact excellent amplifier in the market. 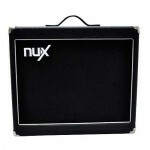 The 30-.. 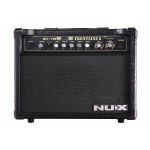 The Frontline 15 combo amp has six Pre-amp models in the distortion channel, and a Mic input with a .. 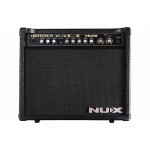 The 8-Watt Frontline combo has 6 amplifier models in the distortion channel, a mic input with volume.. 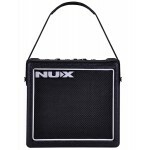 The NUX Mighty 50X DSP Guitar Amp provides 50W through a 12 Inch speaker, offering you a reliable so.. 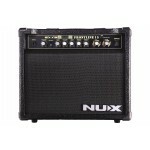 The NUX Mighty 30SE DSP Guitar Amp is a programmable amplifier featuring true simulation of analog c.. 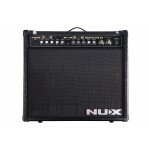 MIGHTY 15 has been one of the most popular amplifiers from NUX because of it has a friendly interfac..